Returning from my short trip to Italia, as usual I was back to work the next morning. This did not help with the cambiamento di fuso orario. I have so many posts to write, but now they will have to wait until after Christmas. Until then, here is a quick summary with some highlights from my viaggietto. 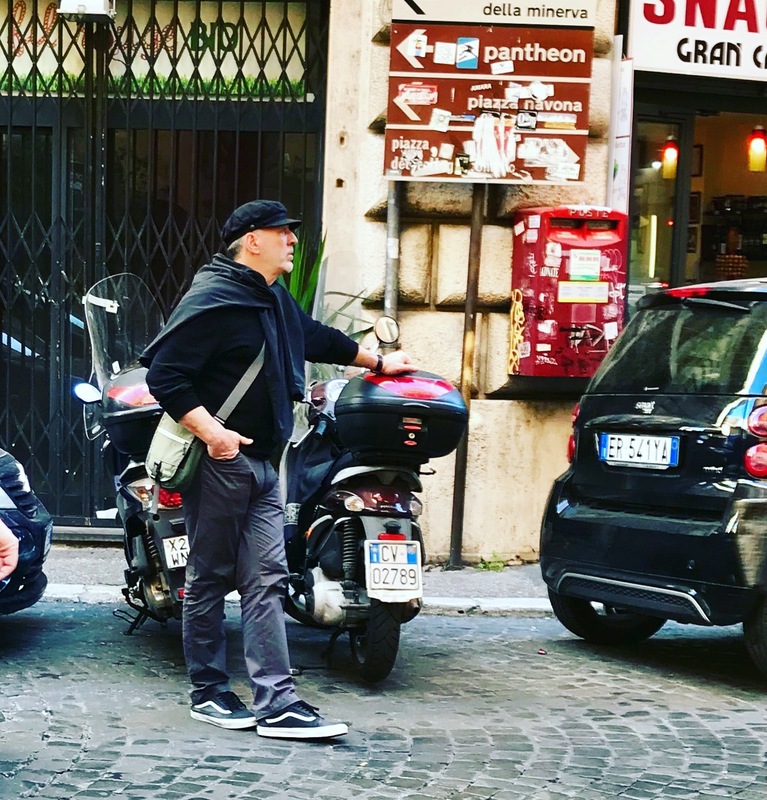 It was a bit of a blur….at 17 days, I think this was my shortest ever trip to Italia! 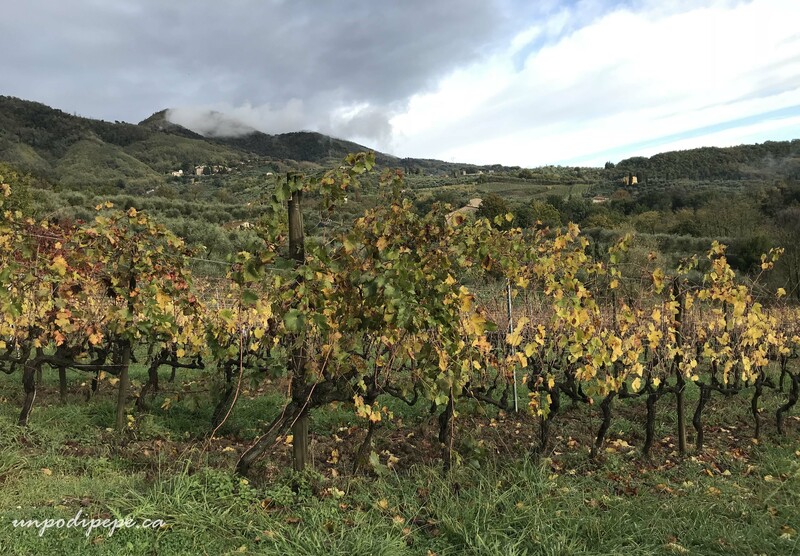 I had not been to Italia in autunno before. The fall weather was mostly clear and sunny, with a few days of serious rain. I envisioned myself having every piazza practically to myself….was I ever mistaken! My first few days were in Roma the last weekend of October. 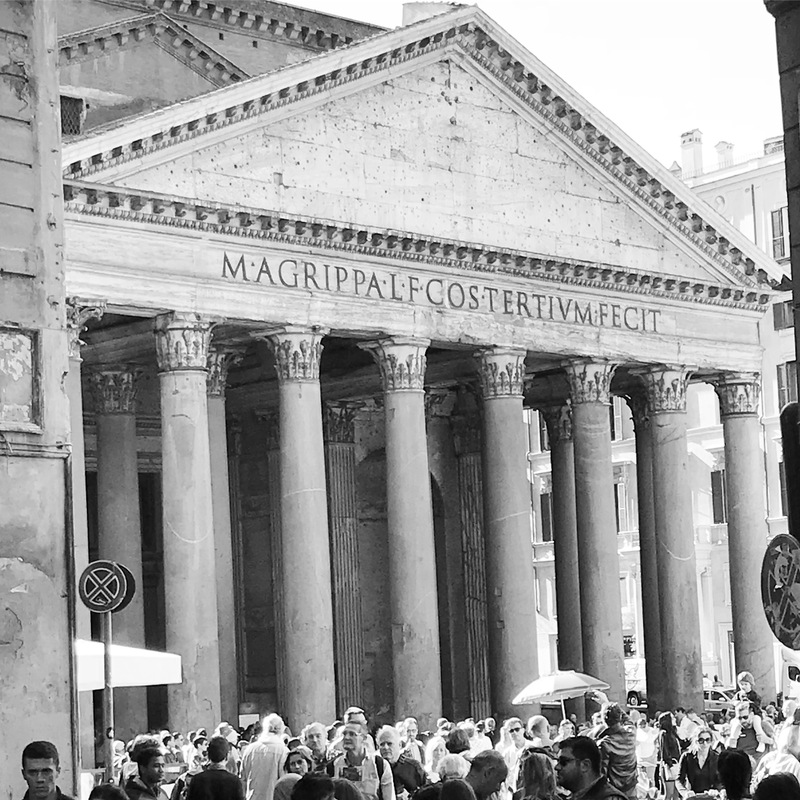 The Pantheon was packed with more people than I have ever seen in July! I could barely make it through the crowd to throw my coin into the Fontana di Trevi! I found out that some European countries have their school midterm break around this time. In Italia November 1st, All Saints’ Day, is a holiday and many Italians take ‘il ponte al primo novembre’, an extra-long weekend. Even so, the guard at the Pantheon said ‘Qui non c’è bassa stagione’-there is no low season here. My 2 partial weekends in Firenze were similar. Smaller places, especially the seaside are quiet at this time of year, but the cities always have a lot of visitors, especially on the weekend. Despite my utter shock at the hoardes of tour groups I was not expecting, Roma was glorious as usual. One day I want to spend a whole month in Roma. Franco joined me for the first 9 days-this was only confirmed a week before leaving! 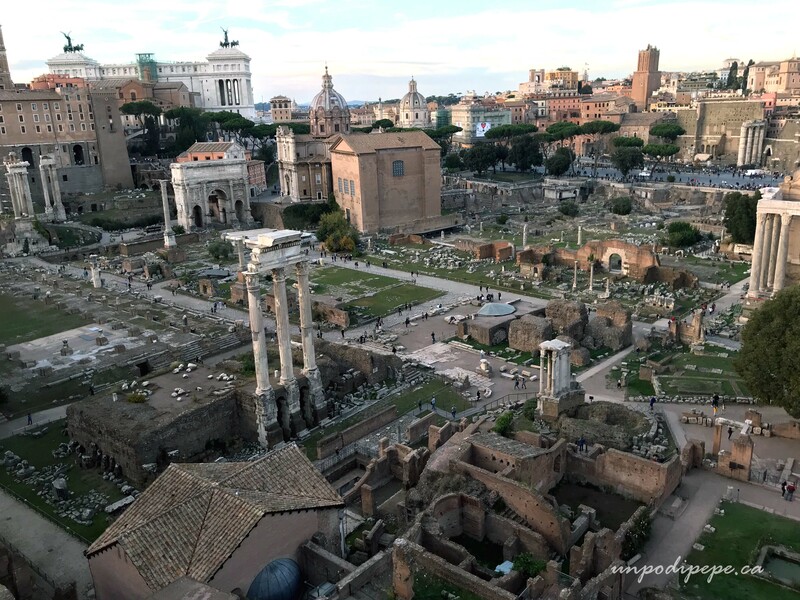 He had not been to Roma in a very long time, so we decided to visit the Colosseo and Foro Romano. I took way too many photos of this. 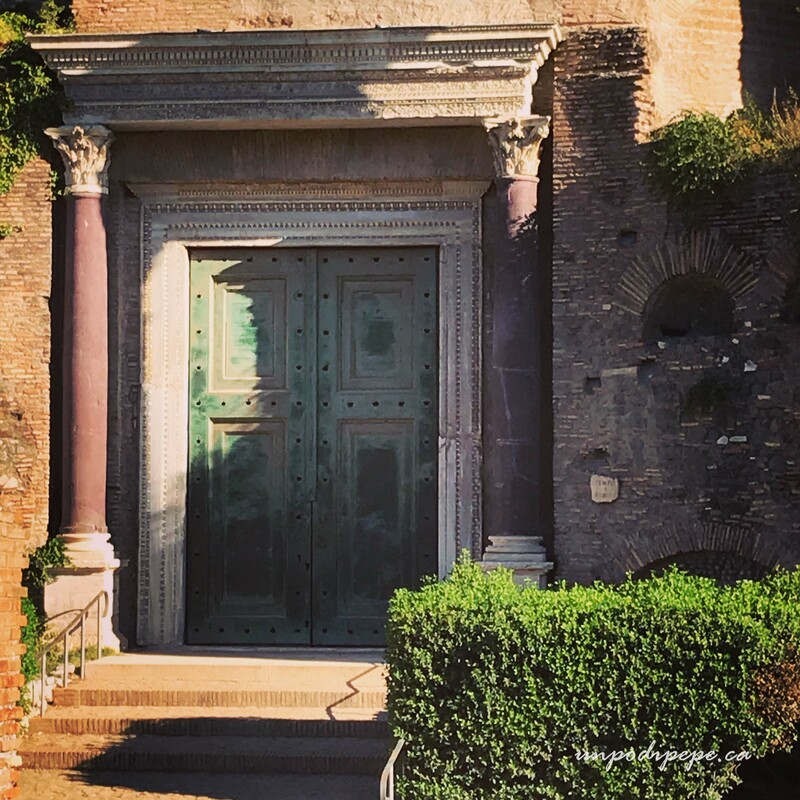 I was obsessed with the way the sunlight struck this green door on the Tempio di Romolo in the Foro Romano. The rest of the day involved a lot of walking. 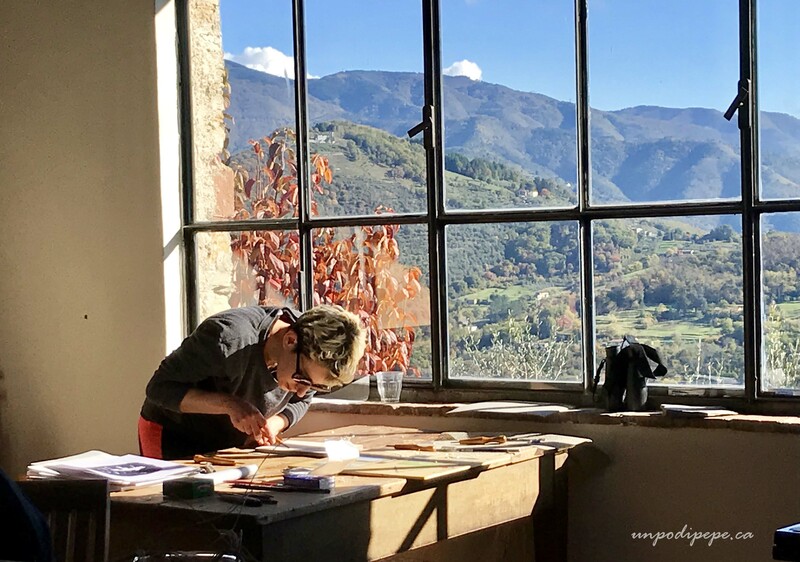 It was centered around a visit to Poggi to buy Fabriano Rosaspina paper for my art retreat, and meeting a friend in Monti. 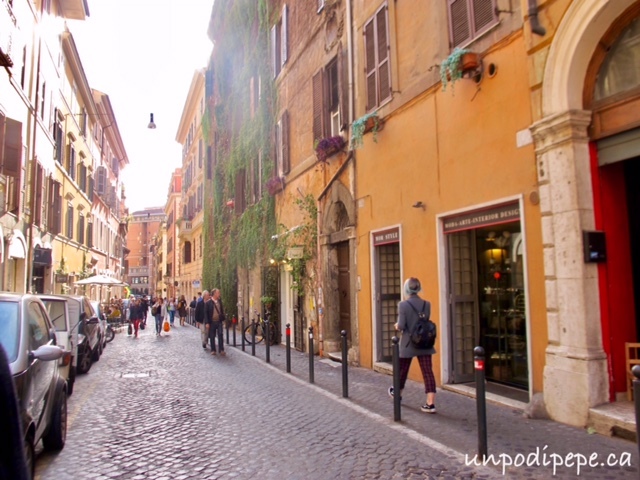 We ended up doing everything on my Un Giorno a Roma itinerary and a few extras. Spending just 4 days in Orsara di Puglia was a mad dash. This was not enough time to visit family and friends, so I greeted a lot of them in the street. I heard the same phrase from anyone who was not expecting me ‘Ma sei fuori stagione!’. I guess I was out of season, but technically so were they! It was hard to recognize people bundled up in their puffy piumini. 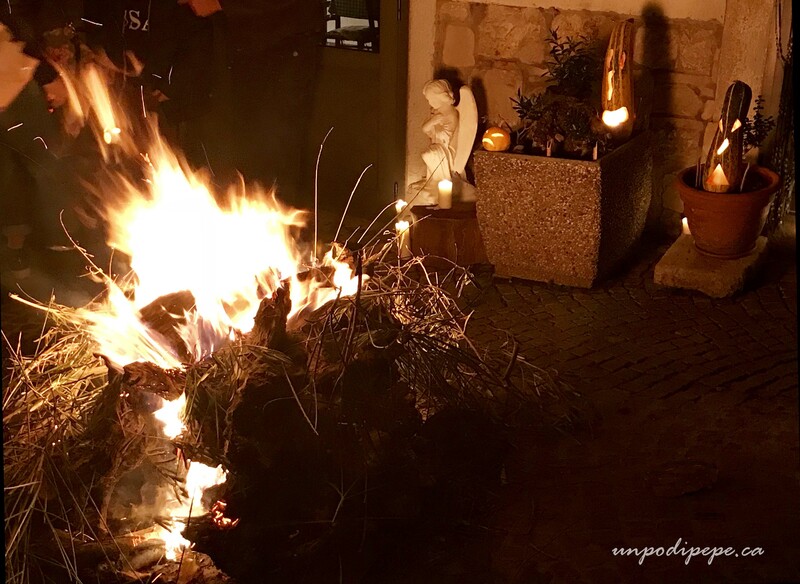 November 1 is a holiday, and in Orsara also the festa Fucacoste e Cocce Priatorje. In Italiano this would be Falò e Teste del Purgatorio (bonfires and heads from purgatory). Sometimes we simply call it ‘Tutti Santi’. 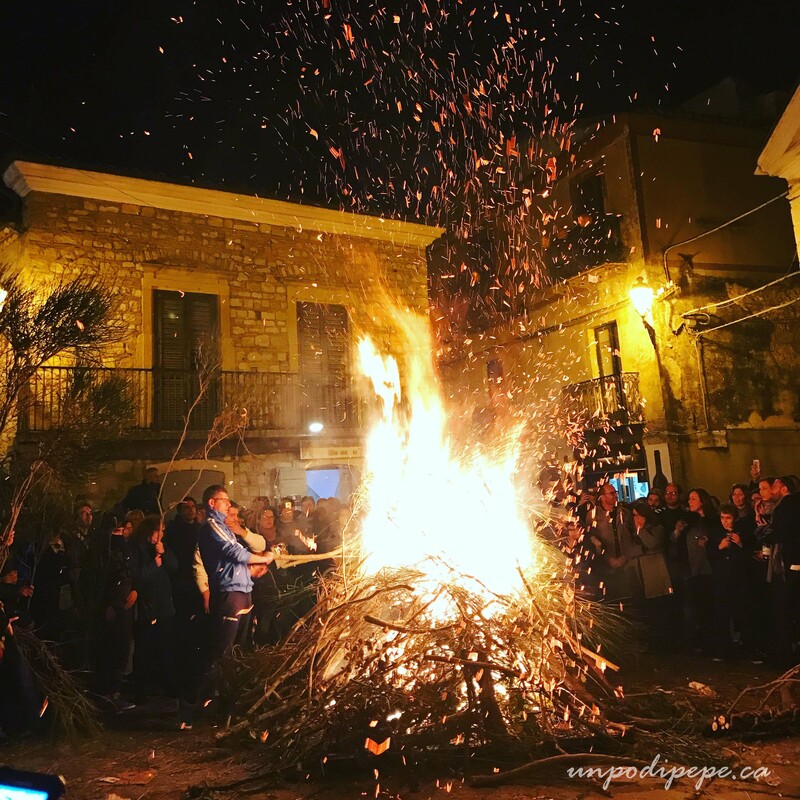 I wrote about the festa in this post, and now that I have been there myself, I will add photos or write a new post. 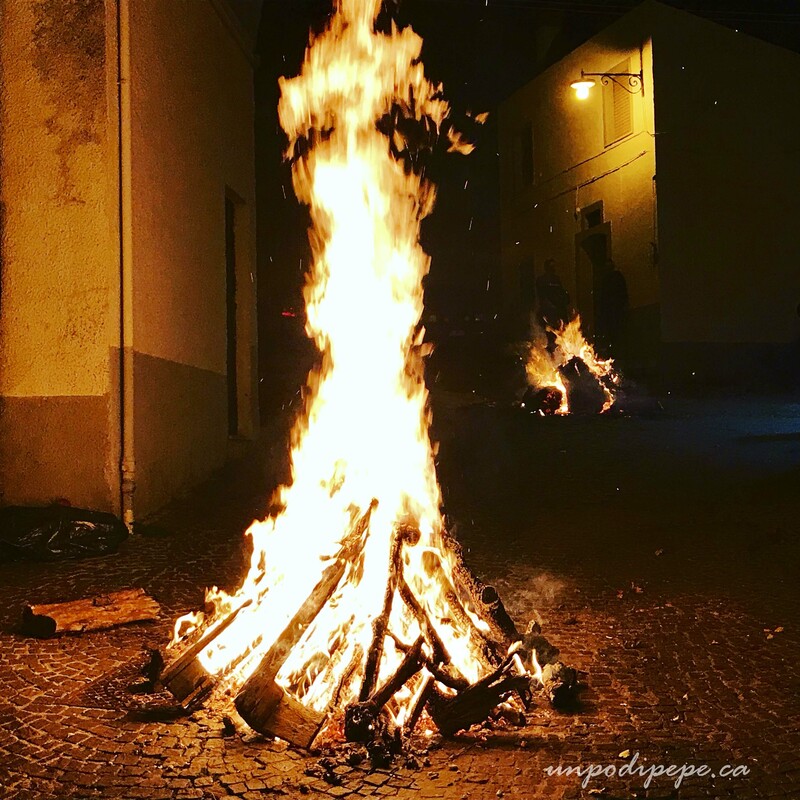 There were zucche and bonfires everywhere. 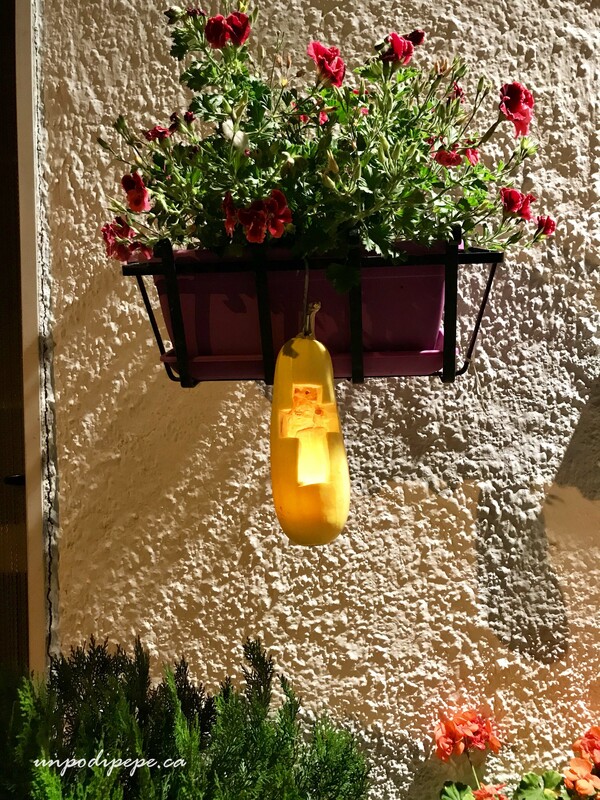 My balcony was decorated with zucche. I took so many photos I am still going through them, but here are a few. The festa was absolutely amazing and also a moving, sprirtual experience-for me and 20,000 others. The weather was clear and crisp, but it was very cold at night. My little casa has no heat, so I borrowed an electric space heater. Brrrrr. I encountered a lot of olives on this trip. It seemed every road near Orsara was full of parked cars and people with crates and olive nets. 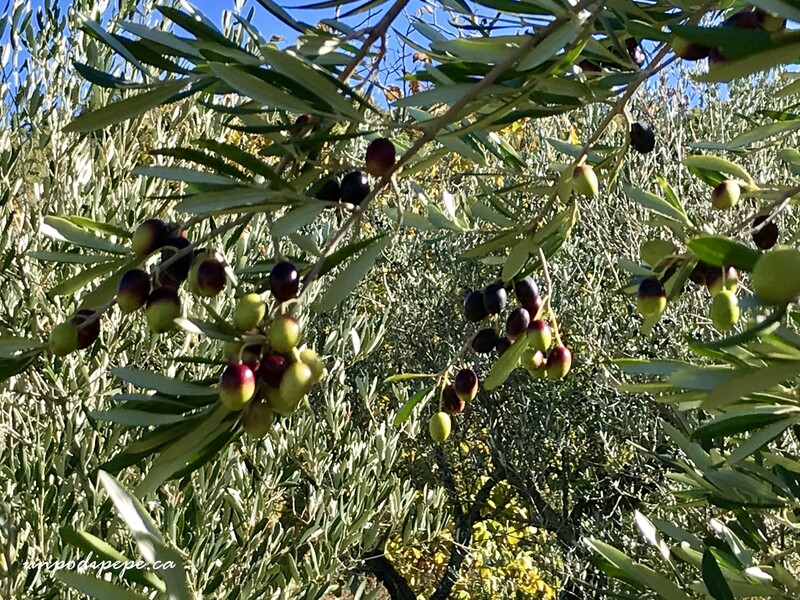 I was not used to seeing the trees full of ripe olives! 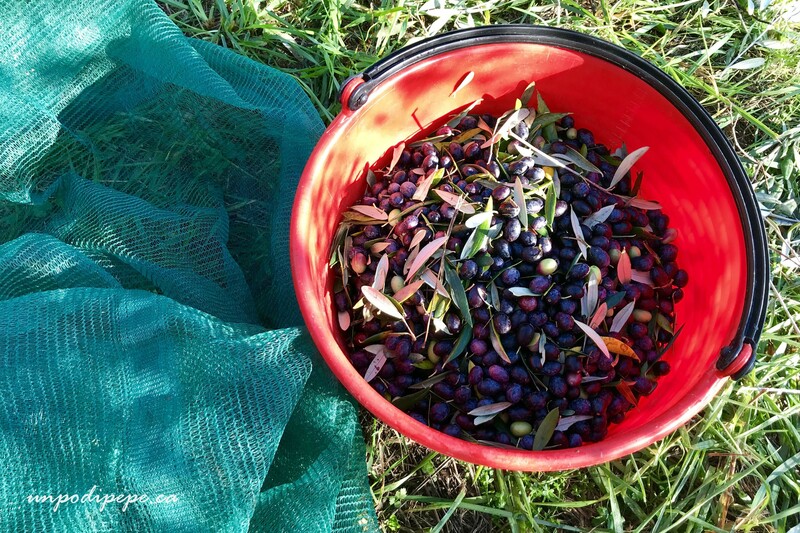 I enjoyed spending a day at my Nonno’s olive grove. One evening we walked past the frantoio, the olive mill, which is always closed the rest of the year. The divine smell of pressed olives lured me in. I photo-documented the entire olive oil extraction process for a future post. Then it was arrivederci Orsara until July. Unfortunately, I missed my family’s olive harvest by one day, but I was able to pick olives in Gugliano. 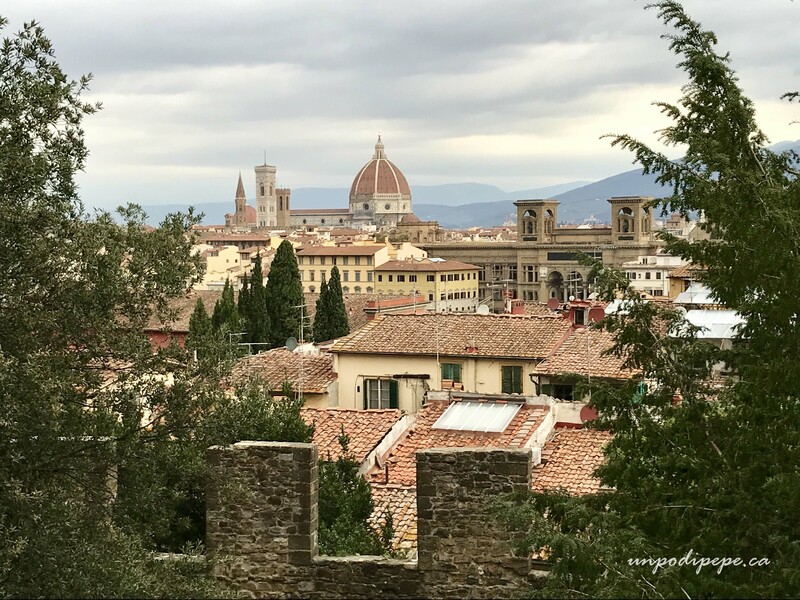 Next was Firenze for 2 half days. I had not been for several years and it felt good to be back. 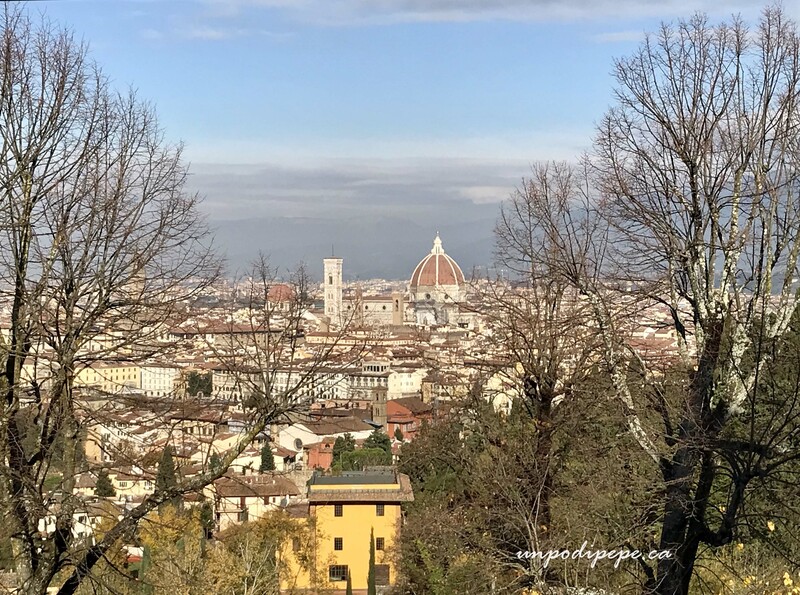 A spectacular view was the reward for a long morning walk along and across the Arno to Piazzale Michelangelo. A torrential downpour started just as we arrived, so the return trip was very wet. 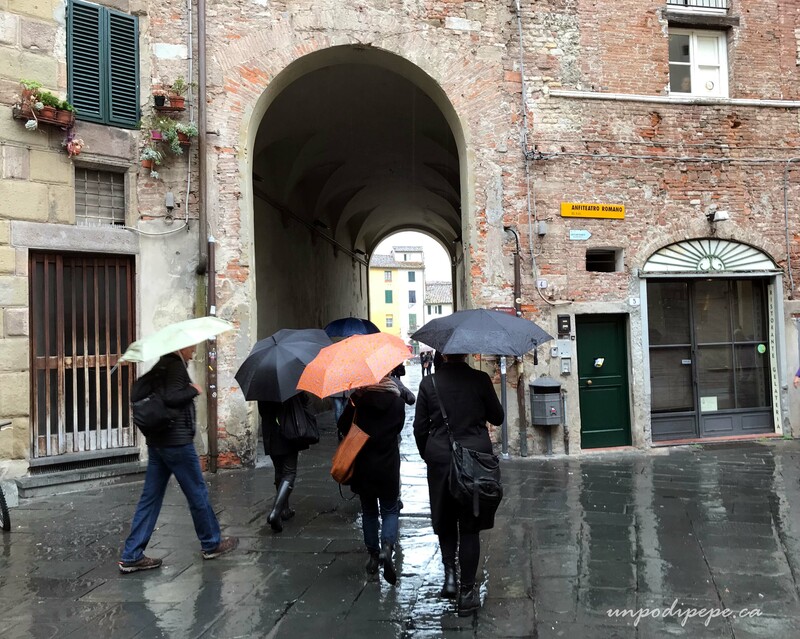 I had to blow dry myself, then got back out in the rain to catch the train to Lucca. We arrived in Lucca just as thousands of attendees were leaving the Lucca Comics and Games Convention. For security reasons, the front of the stazione was closed off. My ride was waiting out front, so by the time we got there, I looked like I had been through the spin cycle. 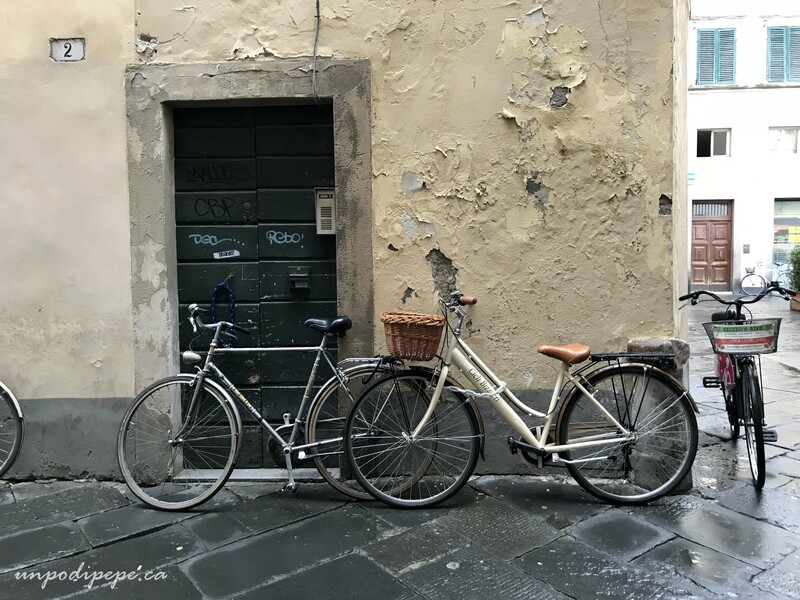 The imposing medieval walls of Lucca were barely visible through the rain and the mist. 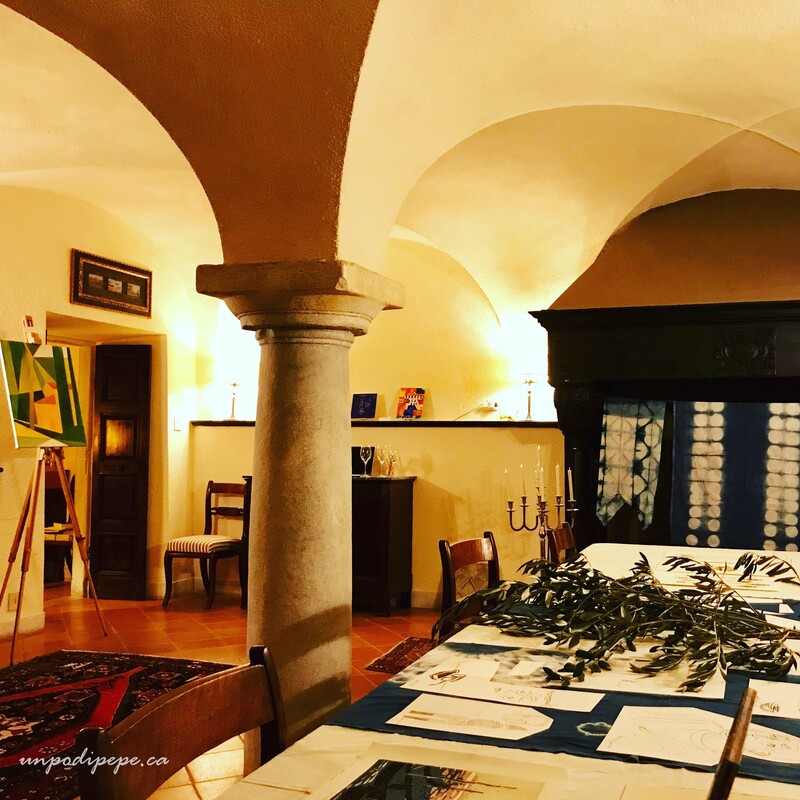 Next came the bumpy half hour ride to Casa Berti near Gugliano for the Catalyst Art Retreat. Luckily a fire was waiting. Franco was in charge of roasting castagne, then he caught the last train back to Firenze to fly home in the am. The retreat was wonderful and the location stunning. My fellow artists were an inspiration. I also found time to visit Lucca, pick olives and cachi, make limoncello cake with freshly pressed olive oil and finally try Bistecca alla Fiorentina. Lots of material for future posts. -It may be ‘low season’ for airfares, but unless your destination is a small town or a seaside area, do not expect to be alone! This is especially true on weekends. In the cities, midweek hotel prices are lower, but they go up on weekends. -Dancing around an almost empty Piazza Navona is possible……before 8am! -The days are shorter. It gets dark at 16:30 to be exact. Take this into account when making plans for the day. -The weather can be variable. Even if the days are sunny, nights are cold. Dress ‘a la cipolla’, in layers like an onion, and be prepared for rain too! What an amazing journey! (And welcome home!) Your trip gives me goosebumps – so many wonderful snapshots. Can’t wait to read more about it! 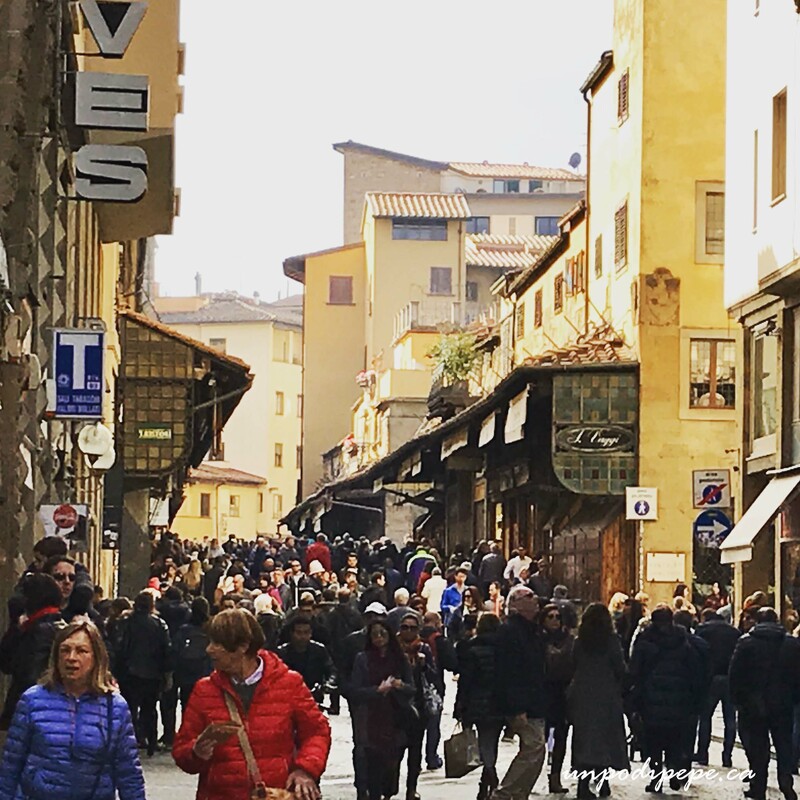 Our trip last March was on the quiet side – better than the summer for crowds, but we didn’t get to Rome or Florence … maybe this year?🤞🏻🙏🏻‼️ I guess they really are always busy. Are you at the Christmas market this December? Wonderful photos! Certainly sounds like you made the most of your trip! Fantastico! You fit so much in! 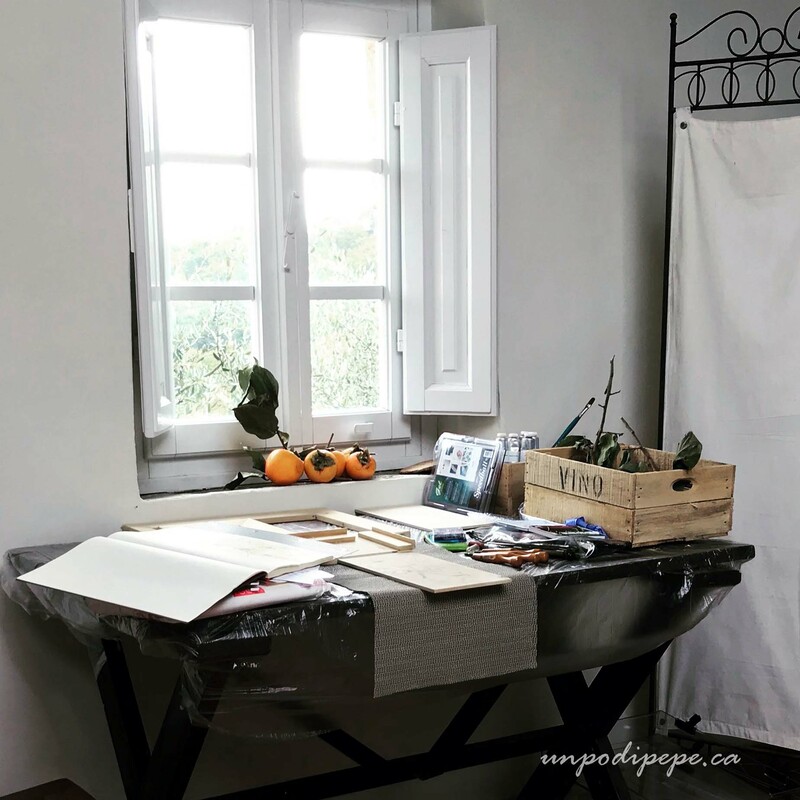 The photos are gorgeous and your art retreat looks amazing. Thanks for the update and looking forward to more. Christmas blessings to you. What an amazing trip! 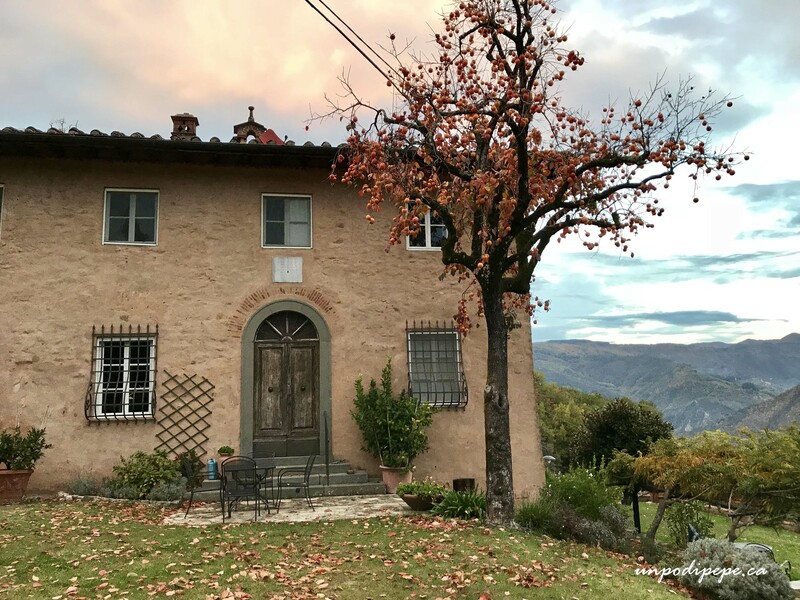 I have not been to Italy in autumn, but it is my plan for my next trip. I am thinking maybe later in November, and looking forward to the colder weather. Beautiful photos too! You took me back to some of our wonderful trips to Rome and Florence. Loved all the beautiful photos and commentary. Love your blog, always so interesting. Despite the crowds, it looks like you had a fabulous viaggio in Italia. Thank you for sharing. Saluti! What a lovely trip! Can’t wait to hear more about it! 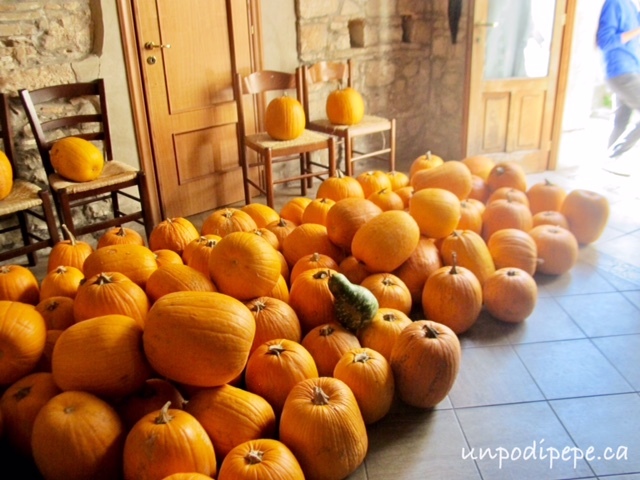 Actually my favorite time of year, in Italy or anywhere else! He fits right in, doesn’t he? Nice trip and wonderful photos. 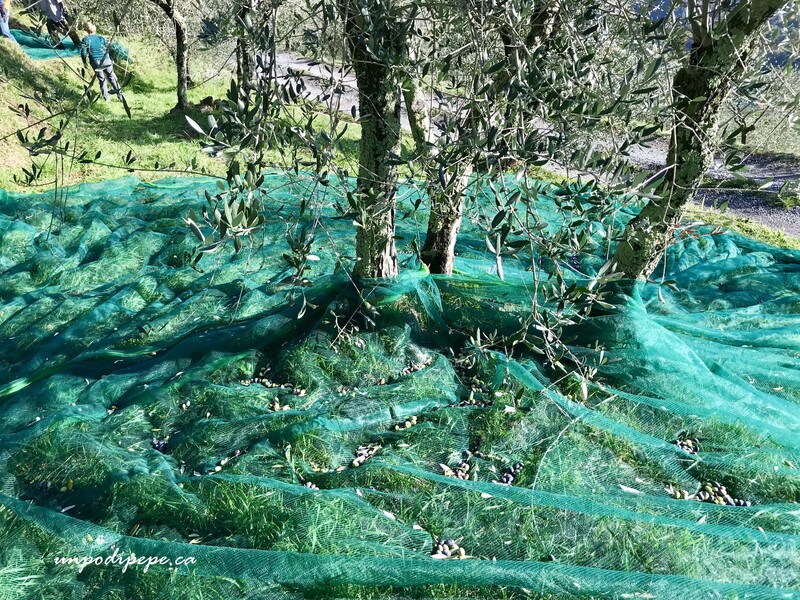 Looking forward, in particular, to your photo-documentation of the olive production. I just got back from Italy, myself, and you’re so right about the short days. Things have to get done in the morning because it’s already getting dark as you’re finishing lunch! Beautiful, and the images are stunning!